← Mystery Creature – can you name it? Fascinating! (As all of these Dr. Simple posts are) I love the fact about the10 digit base too. It’s a revelation!! I thought it was for counting. 🙂 Actually I wonder if in years to come our fingers will modify if technology continues to require us to text or type so regularly instead of manual labour. tric kearney recently posted…Young Ben we salute you. 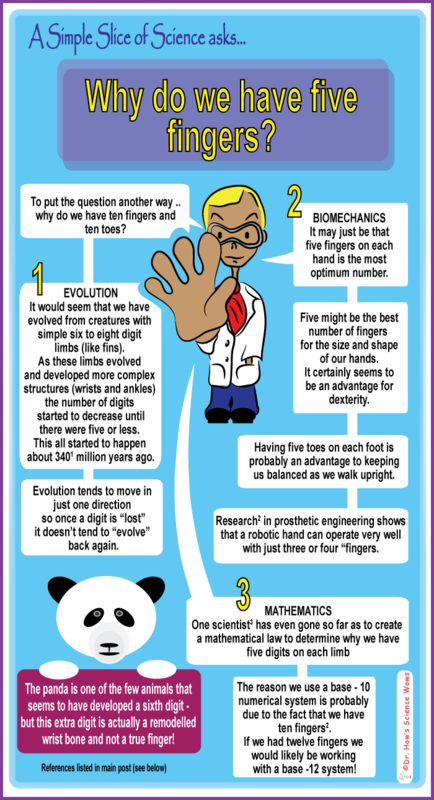 nao recently posted…A Simple Slice of Science – Why do we have five fingers? That’s really interesting – I like the idea that we have a base 10 numerical system for that reason – makes perfect sense!